Six years ago, the City of Dallas passed an ordinance requiring faith-based and other charitable institutions to meet nearly a dozen requirements before feeding the homeless. On Thursday, after a protracted legal battle, a U.S. District Judge ruled that the regulation impinged on the religious rights of two local organizations, Big Heart Ministries and Rip Parker Memorial Homeless Ministries, which had brought a lawsuit against the city. 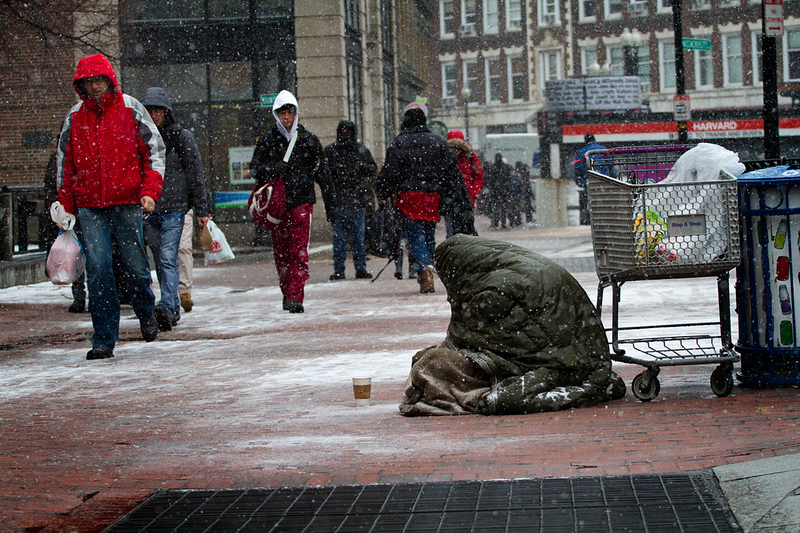 Provide portable toilets or restroom facilities for the homeless whenever feeding them. Register with the city by completing its food safety training course and keep a copy of the registration on-hand whenever feeding the homeless. Obtain written consent from property owners before providing food on property grounds. Provide a hand washing facility or 5-gallon container with spigot, a catch bucket, soap and paper towels for preparers and servers whenever non-packaged food is served. “Relief organizations throughout the city can continue to provide critical services to its most vulnerable residents,” he continued. The judge ordered the city to pay the plaintiffs’ attorney’s fees and costs. Barnard, who took the case pro bono, said the money will be donated to charity. Over the past year or so, the governments of New York City, Seattle and Philadelphia have enacted laws to, respectively, prevent restaurants from donating leftovers to homeless shelters, stop people from feeding the homeless in parks, and require citizens to obtain approval before feeding the homeless outdoors. In each of these cases, officials cited food safety concerns. A federal judge later blocked the Philadelphia ban. The state of Louisiana recently prevented a charity, Hunters for the Hungry, from donating 1,600 pounds of venison to a local shelter, also citing food safety concerns. Editors note: This article was reposted from the Desert News website. I was a little surprised that the city didn’t call the head of Bread for the World to testify that the church has no business doing this and that this should be let to grocery stores. It’s absolutely incredible that charity groups needed a legal victory to be able to help the homeless. Human beings say they don’t like rules, but it isn’t so. They love imposing rules on others, gives them a sense of power, but they have to camouflage it under the name of “compassion” and “safety concerns.” People accuse Christians of being hung up on rules, legalistic, but the regulatory mentality existed a long time before Christianity did. Government, not religion, is the opiate of the masses. Government entities are supposed to be sterilized of any religious references yet government is hateful towards any attempts to act on religious endeavors. Well done Big Heart Ministries and the faithful servants who fought city hall and won!